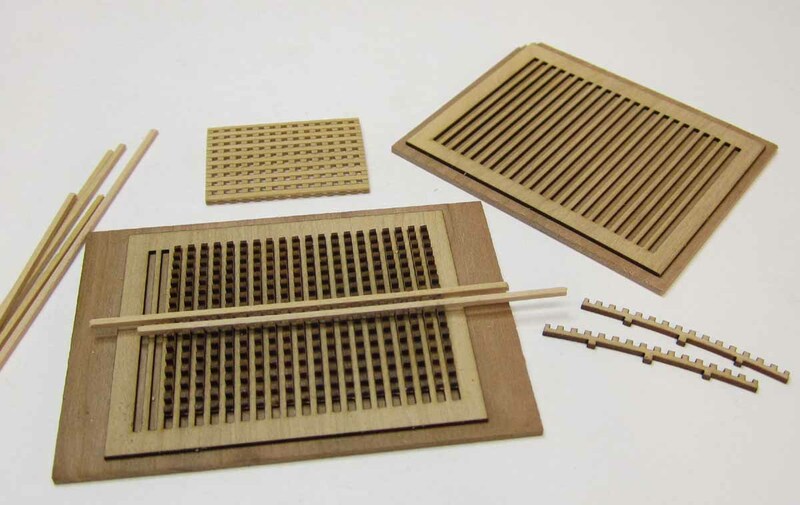 Upgrade your kit with these Laser Cut Boxwood Grating kits!! 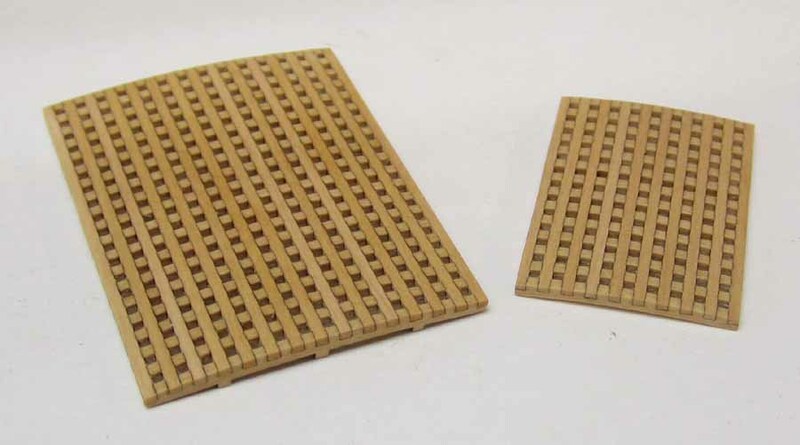 Syren Ship Model Company boxwood grating kits are new and nothing like them has ever been offered to model builders. 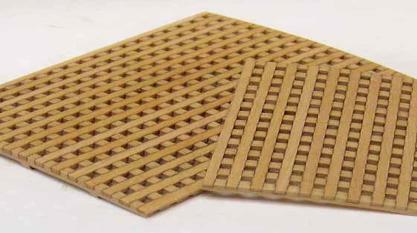 This boxwood grating system works with a jig to hold the laser cut grating strips. (sold separately) You only need to buy the jig once. The round-up for the grating is built into the strips already!! 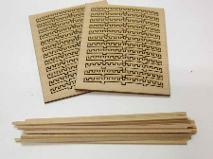 Packages of grating strips come with 24 laser cut and cambered strips (ledges) and 20 boxwood battens. The 3/64" gratings (1.19 mm) produces one grating at a maximum of 2" long and 1 3/8" wide. Or you can produce a wide variety of smaller sizes from the same package. The holes are 3/64" square with 3/64" thick strips. These are appropriate for 3/16" scale or even 1/4" scale models. The laser cut grating strips are placed in the jig. Make sure to that the end without the little nub on it after you remove them from the sheet is against one side of the jig so they are all lined up. See the photo attached in the gallery at the right. 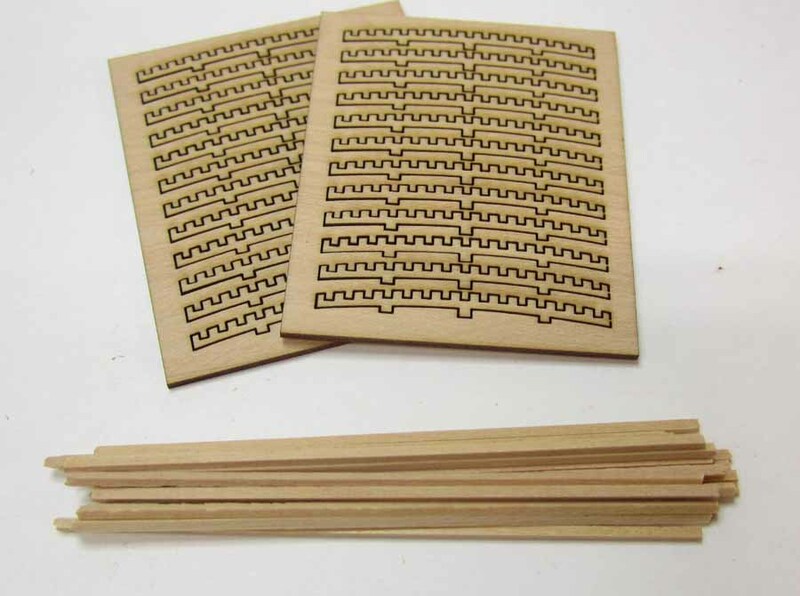 Then you will take the short strips and push them into the slots of the laser cut grating strips. These should be a press fit. Not too tight because you will break the scalloped laser cut strips. If your thin strips do not fit into the laser cut notches try turning the strip to use the other side. If its still too tight...run it through some sandpaper until you have a "push fit". Meaning it should fit snug without breaking the laser cut notches. Your grating is now essentially finished. Sand the top of the grating smooth and even. But before you remove it from the jig, brush some diluted white glue (Elmers) all over the grating so it stays together when removing it from the jig. Wait until its completely dry and gently pry it out of the jig a little at a time. See photo.